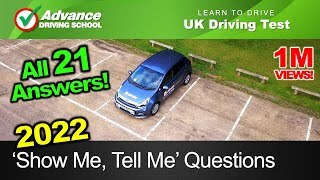 The UK Driving Test makes sure a driver has a minimum standard of safety before they are allowed to drive on their own. 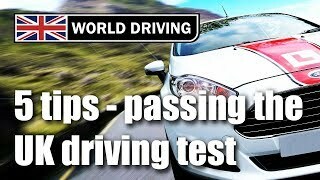 Once the test has been passed, a driver will continue learning with their experiences and their driving will change. But would they still be able to pass the Driving Test again if they had to? 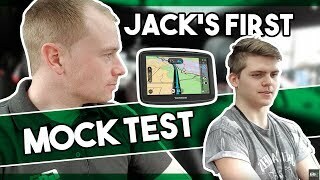 In this video we will find out, as Emma has kindly agreed to drive a full test route for us. She passed her test about 6 months ago, so is used to the new test format - but has not had any extra training to help her prepare for today. We will identify any faults we see, and also monitor the total number of faults so you can see how Emma is doing. If you found this video interesting and would like to be notified when we release the next one, then please click our logo to subscribe to our channel. Thanks for watching! Is she pass or fail? +M M Don't regard the speed limit as a target, we should drive at a safe speed for the conditions - so driving at 35 in a 40 is no problem. By the way, the examiner will use the car's speedometer for the purposes of the test, so ignore the GPS speed that the camera shows - as the driver wouldn't see it either at the time. 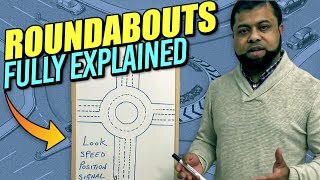 Where is the junction fault you mentioned? 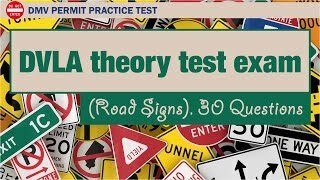 Advance Driving School how about driving 35-37 at speed limit of 40? Is that a fault as well? And turning nearside instead of offside in a junction is that a serious fault? The pen clicking would make me nervous! As you know it’s a fault! Could be good or bad! LMAO. You’re driving on the wrong side of the road. SMH. No way this has been the same route I’ve done for both my failed driving tests, bury st Edmunds is so hard to pass I swear!! BSE can be tricky - sorry to hear you didn’t pass. Better luck next time! on UK roads, and 43 horse riders have been killed. #passwideandslow We will also about out with Speedwatch that day and we have an Advanced Driver as a volunteer coming along! 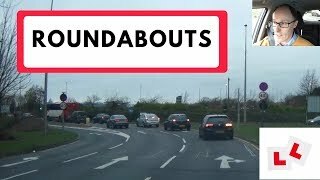 She used her indicator before going onto the roundabout. Isn’t it only used when existing a roundabout? 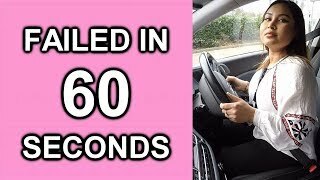 Would you be aloud to use e-pedel in a driving test? 55 in a 70 not a fault? The cars speedometer was reading over 60, so no. The true speed recorded by the cameras GPS won’t have been visible to the driver at the time. 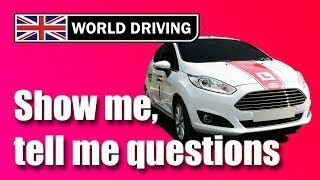 The show me question is done while driving? I'm sure I did it before I set off. It changed back in 2017. If you look in your mirrors and spot that you are being tailgated, how would you choose to brake? Yes, the examiner will thank people when needed - but you are free to do so as well! 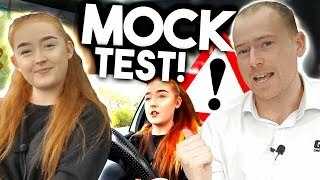 Wait did she pass her test or fail? 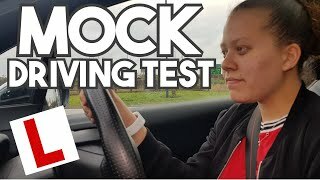 This was only a mock test for us to film, but if you get any serious or dangerous faults on a real Driving Test then you won't pass. 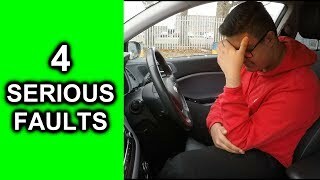 As a Mexican who's interested in acquiring as many good driving skills and habits as possible, I must say I've learnt a lot from watching videos about the UK driving test, such as what distances to keep in different climate conditions and when to look at the mirrors while driving. I wish driving tests in my country were this rigorous because this is what mainly prevents accidents from happening on the roads (along with proper police vigilance), which is something that's urgent in Mexico. 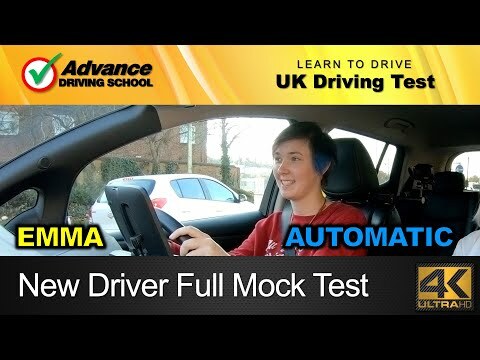 The big majority (if not all) of our driving tests are a joke in comparison. At least I want to feel like I'm doing my part trying to be a good citizen in this context, so these videos are quite helpful in becoming a better driver. That’s a good attitude to have - hopefully your extra skills will help you stay safe on the road. Thanks for watching! Sorry Emma. You already fail for driving on the wrong side of the road. How is she getting away with that steering control? I thought the push and pull method is required in order to maintain total control of the steering wheel? 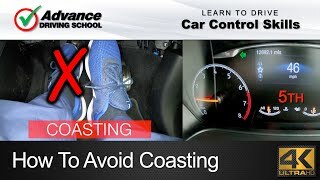 I literally had to take 1 hour out of my driving lessons to learn this method. Crossing arms or letting the wheel slide isn’t our recommended steering technique, but on the test it won’t be marked as a fault, as long as it doesn’t affect control of the car. What type of dashcams do you use? Yes, everything. That camera is mounted on the outside of the windscreen at the top! +Advance Driving School Hi. I've seen the list, but were the images from the windshield recorded with a GoPro as well? Thanks. She got a fault for not checking her rear mirror before breaking which is ridiculous, if she doesn't break she hits the person in front, why does she need to check the mirror, it won't change the fact she NEEDS to stop. And the fault for follow distance when she was moving at sub 5mph, she was a reasonable distance... Some of these faults are absurd, I really hope this is just too much caution by the instructor and not what would actually happen on the test because it is quite ridiculous.